We've done a lot of prep work so far, and sometimes it can feel like sewing is mostly just puzzling over bits of paper. But now we're finally getting some time at the machine! Let's get going on the bodice. Create the darts by matching the markings and folding the fabric right sides together. Start at the lower edge of the bodice and gradually taper your stitches to the marked apex of the dart for a neat finish. Gently press your darts towards the side seams. When working with velvet, I try to apply steam only as pressing the pile can result in little shiny patches on the outside of the garment. Trim the dart level with the lower edge of the bodice piece. Bring the first notch down to meet the second and pin in place to create your first pleat. Make another fold by bringing the third notch down to meet the last. Baste in place using large stitches. Usually this is done so that it's easy to remove the basting later, but I find that if I baste well within the 15 mm (5/8") seam allowance, I can just leave it there. Create the darts and pleats for both of your front bodice self pieces. 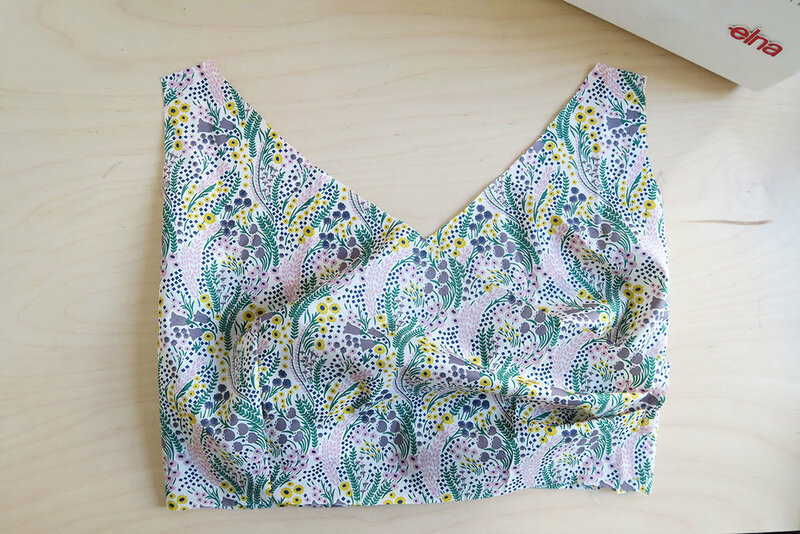 Lay one of your bodice pieces right side up in front of you. With right sides together, match the side seam of the back bodice with the side seam of the front bodice. Remember, we are leaving an opening on the left side seam! Pictured above is the right side seam, so sew this seam in its entirety and gently press the seam allowances open. 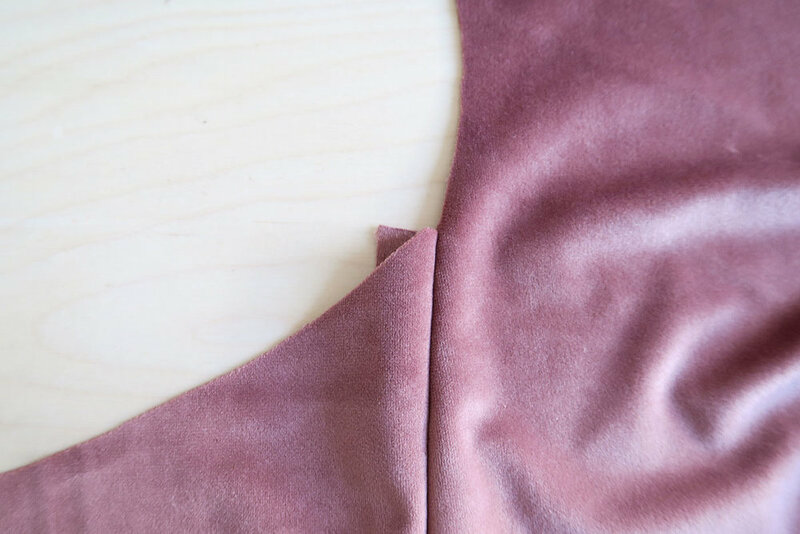 Once the seam allowances are pressed open, there will be a little bit that you need to trim in order to get a nice even curve between the front and back bodice pieces. Sew the left hand side seam and leave open between the markings. Backstitch a little at the opening points to keep the thread from unravelling. Now we repeat the whole process for the lining! Sew the darts, create the pleats, and attach the back bodice to the two front bodice pieces. You'll end up with two bodices; one in the self fabric, and one in the lining. Next time, we'll go over how to put the two together. If you want to catch up on what we covered last time, have a look at our previous post.